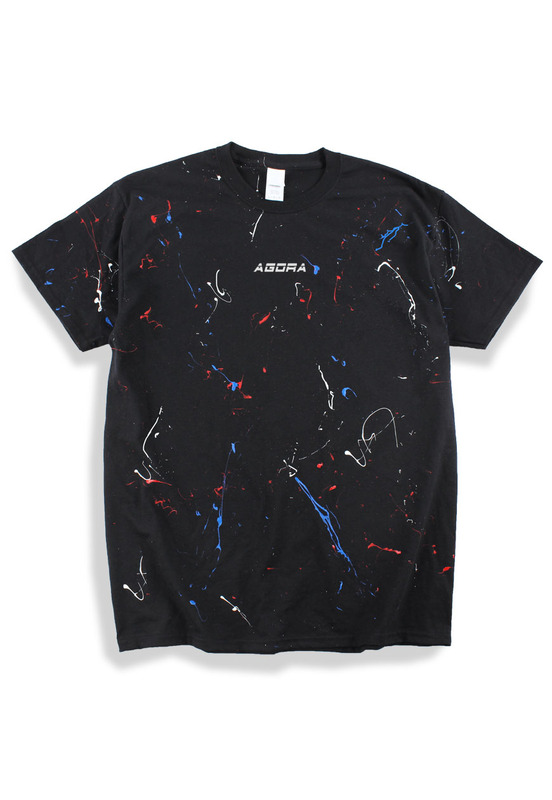 Agora Paint Splatter T Shirt. Painted by hand for a unique 1 of 1 finish. Medium weight ring-spun cotton crew. Fits true to size.